Trevor Noah had some pretty big shoes to fill once Jon Stewart announced he was leaving “The Daily Show,” but he proved we shouldn’t have any doubt. “Before we start I just want to say a few things. This is surreal for me. I’m not going to lie, growing up in the dusty streets of South Africa I never dreamed that one day I would have, well, two things really: an indoor toilet and a job as host of The Daily Show. And now I have both. I’m quite comfortable with one of them,” Noah joked with the audience. “Also, why didn’t they get an American host? Again, Comedy Central tried and they declined. Once more, a job Americans rejected is now being done by an immigrant,” he went on to say. Noah concluded his segment with thanking the audience for joining as the “war on bulls**t” continues. 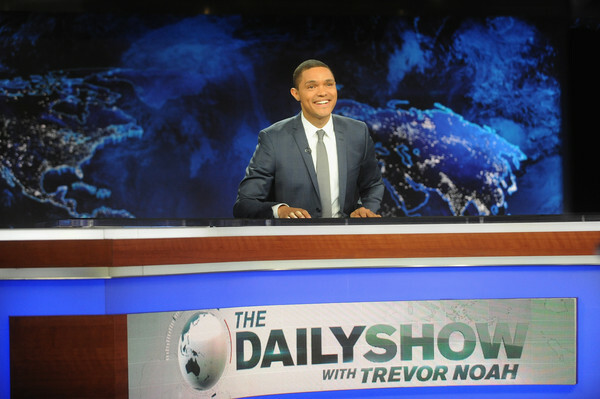 Check out the full clip here and tell us what you think of Trevor Noah’s performance as the host of “The Daily Show” using the hashtag #GlamorousPaper and the comments below!